but if the salt has become tasteless, how will it be made salty again? It is good for nothing anymore, except to be thrown out and trampled under foot by men. Salt is one of the most commonly used seasonings in antiquity (Job 6:6). Its preservative powers made it an absolute necessity of life and, not surprisingly, endowed it with religious significance. Salt was used for Israelite worship to season incense (Exodus 30:35) and all offerings were to be seasoned with salt (Leviticus 2:13; Ezekiel 43:24). Numbers 18:19 and 2 Chronicles 13:5 find salt symbolizing the making of a covenant. Jesus, in the Sermon on the Mount, calls the people who listen to Him “the salt of the earth” (Matthew 5:13). Light is the word used in connection with joy, blessing, and life in contrast to sorrow, adversity, and death. At an early time it came to signify God’s presence and favor (Psalm 27:1; Isaiah 9:2; 2 Corinthians. 4:6) in contrast to God’s judgment (Amos 5:18). The principle of “salt and light” is derived from combining the preserving power of the salt with the joy and blessing derived from light. 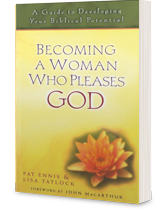 The life of a woman embracing a Biblical Femininity World View will produce joy and blessing and at the same time offer a savory and preserving influence to those who interact with her. 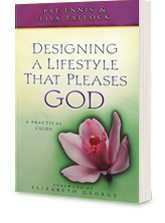 Elisabeth Elliot Gren (1926-2015), was a woman who clearly embraced a Biblical Femininity World View. 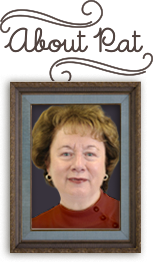 Throughout her life she sought to bring glory to God and to assume a scriptural posture toward her husband, Lars. While she initially assumed the role of a missionary, her life focus of “not my will by thine be done” poised her to become a spokeswoman for Biblical Femininity. It was our joy to pay tribute to her at The Biblical Femininity Conference. 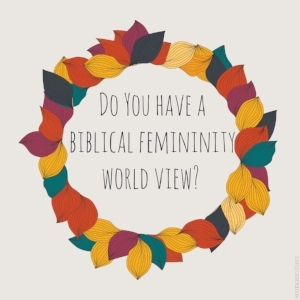 Kelsey’s Korner introduces us to some principles that emerged from the Conference that may assist you in cultivating your Biblical Femininity World View. As well, I encourage you read Elisabeth’s book Let Me Be a Woman. Having attended the “Building a Culture of Biblical Femininity in the Home, Church and Community” Conference, it’s important that I take time to transfer my newly gained knowledge into action. As believers, simply knowing truth is wasted unless it’s applied to our lives. Matthew reveals why this is so important when he said “Let your light shine before others, so that they may see your good works and give glory to your Father who is in Heaven” (5:16). This was certainly God’s will for the dispersed believers in 1 Peter who were living in a time burdened by sin and great persecution from the government. How did God call them to respond? “Keep your conduct among the Gentiles honorable, so that when they speak against you as evildoers, they may see your good deeds and glorify God…” (2:12). Actions speak louder than words, sometimes so loud that they cause unbelieving husbands to repent and come to the Lord (1 Peter 3:1)! Our actions picture and enflesh the Gospel. So how do we equip our actions to display the Gospel? We listen to and believe the truths of God’s Word as opposed to the lies of our culture. The following section outlines common cultural lies and their biblical antitheses. I encourage you to pray through it as we choose to cultivate a Biblical Femininity World View (James 1:22-25). Just like the serpent’s question to our first mother, we too sometimes doubt God’s intentions. 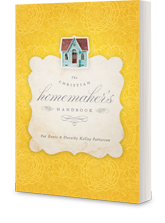 Did God really mean I have to be a keeper of my home? Do I really have to submit to my husband in all things? Does He really think homosexuality is wrong? Scripture is inerrant and sufficient because it comes from a God who is holy, omnipotent, omnipresent, and everlasting. There is no shadow of turning with Him! If Ephesians 5:24 states we are to be submissive to our husbands in all things, then we laboriously strive to humble ourselves and obey our Father who is in heaven in all things (Matthew 5:16). It is a reflex reaction to form a man-centered perspective on life when our world encourages constant pursuit of self-fulfillment and purpose. Unfortunately, our God-given roles can appear common and unfulfilling when we are seeking to please ourselves. A God-centered perspective is fulfilled by peacefully living to honor God, regardless of the role, season, trial, or circumstance. This is the “secret of contentment” Paul suggested in Philippians 4:12. Our self-centered culture teaches that we deserve respect, opportunities, and happiness, no matter the expense. The Feminist Movement continues to fight for their “rights”. When Isaiah stood before the Lord, he cried out, “Woe is me, for I am ruined! Because I am a man of unclean lips, And I live among a people of unclean lips; For my eyes have seen the King, the LORD of hosts." (Isaiah 6:5) We deserve nothing more than God’s holy judgment for our sin. Yet God loved us and sacrificed His Son on our behalf! Because of this great gift, we choose to live our lives in grateful submission to the perfect will of God. (1 John 4:19). Our culture feeds us the lie that we are independent and in control! God tells us we are not our own—we are His! He bought us with a heavy and awful price. All we have ultimately belongs to God for His pleasures, so we daily die to our own desires in order to obey God (1 Corinthians 6:19-20). God may be love, but He is also a holy God that cannot tolerate sin—so much so that His own son had to die on our behalf! This is the true definition of love—sending His son to die for sinners. In response, we give our holy and awesome God our utmost obedience and devotion (1 John 4:9-10). Ultimately, our lives belong to God—we are His, and He is ours! Our actions should proclaim this great and beautiful truth and beacon others to come, see, and worship the God who gives everlasting life and riches! So, let your light shine among men so that they see your selfless, pure, and grateful works and glorify God (Matthew 5:16). God has said, “I am your refuge and strength, a very present help in trouble. Therefore we will not fear though the earth give way, though the mountains be moved into the heart of the sea, though it waters roar and foam, though the mountains tremble at its swelling” (Psalm 46:1-3). 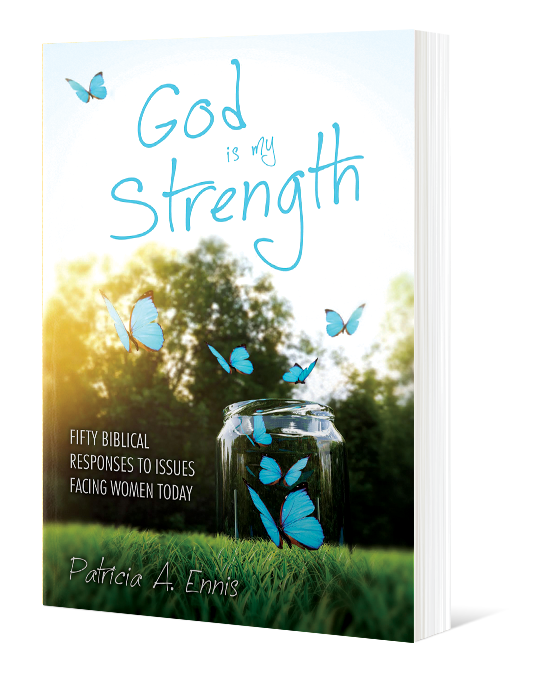 Therefore, I may boldly say, “God’s answer to me in the midst of a culture that shuns Biblical Femininity is brief and straightforward: stop and remember who I am and that I am on your side." The “Building a Culture of Biblical Femininity Conference in the Home, Church, and Community” was held October 5-7, 2017. 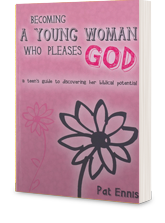 Its purpose was to deepen a woman’s understanding of Biblical Femininity. Lord willing, the Conference sessions will be posted on the Rock Creek Baptist Church webpage (www.RockCreekBC.org) soon. We pray that you will choose to join us in our March for Biblical Femininity by listening to them (visit the website and click on the Conference tab)! Until the Sessions are recorded I encourage you to hear the voice of Elisabeth Elliot urging us to embrace a Biblical Femininity World View. Lars, Elisabeth’s husband who was with us at the Conference, gave us permission to use the sound clips that are excerpts from various CDs of Elisabeth's messages available at www.elisabethelliot.org . 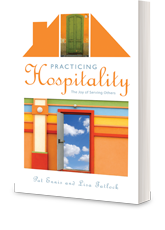 Blessings on your day as you focus on cultivating a Biblical Femininity World View concurrent with making your house a home!